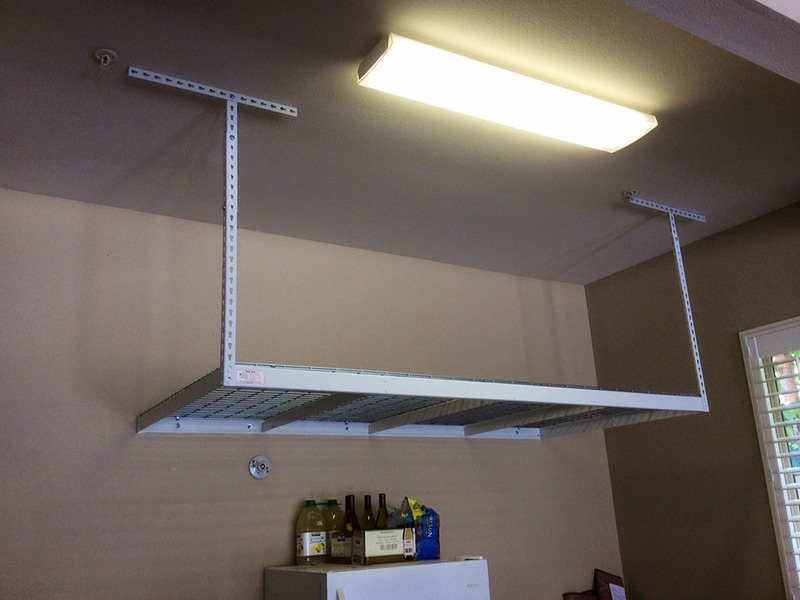 Topp Rax are made from 14 gauge steel boltless shelving frames and feature a durable white powder-coated frame. 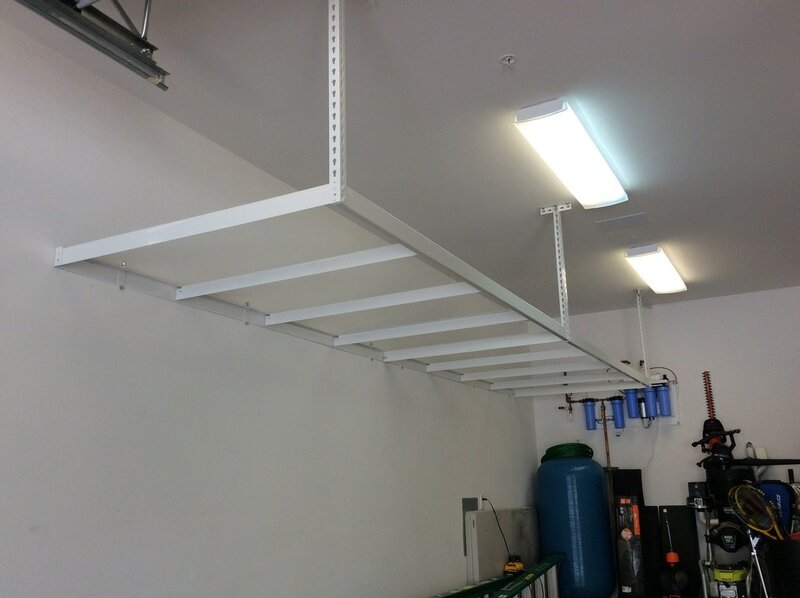 We offer the strongest and most stable rack on the market. Most other racks shake and swing horribly. 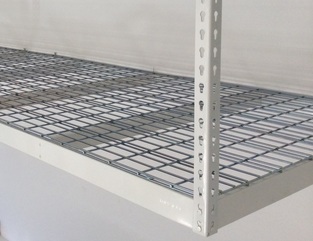 Our racks have an anti-shake decking system that makes them super-stable. Click here to find a dealer in your area. ​Read the Topp Rax Frequently Asked Questions here. 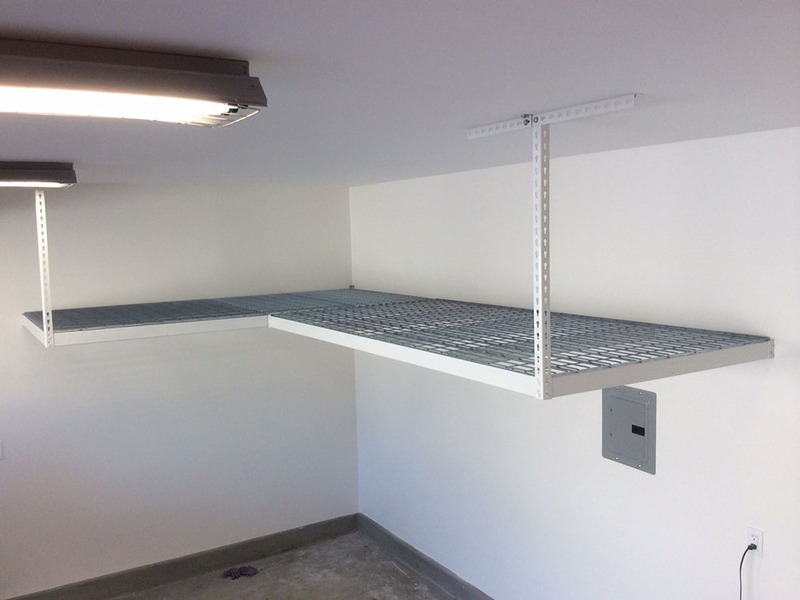 How is ToppRax Overhead Storage System more solid and stable compared to all other overhead storage racks? 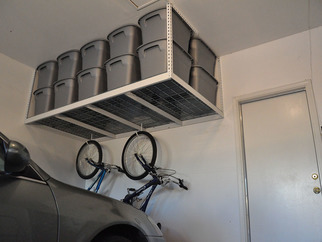 All other overhead storage racks have one thing in common. 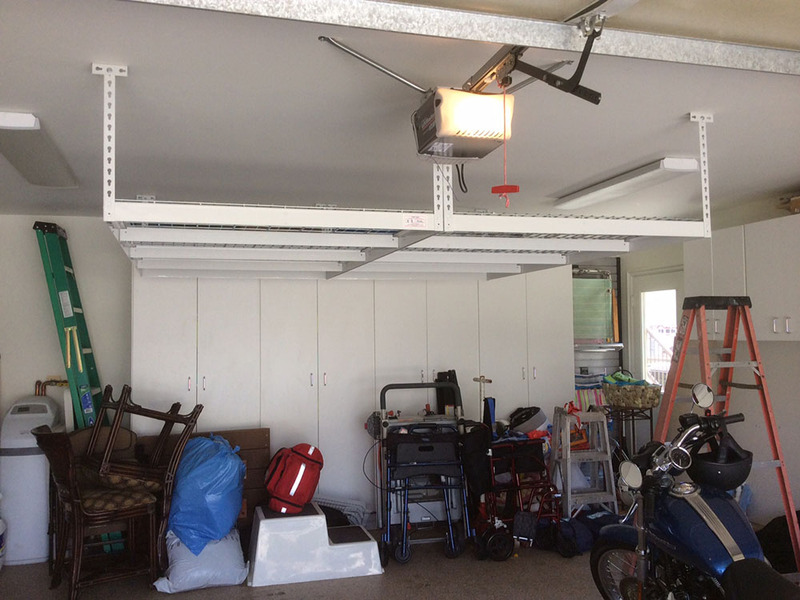 They hang from 4 legs, attach to the ceiling, and they have very poor stability. 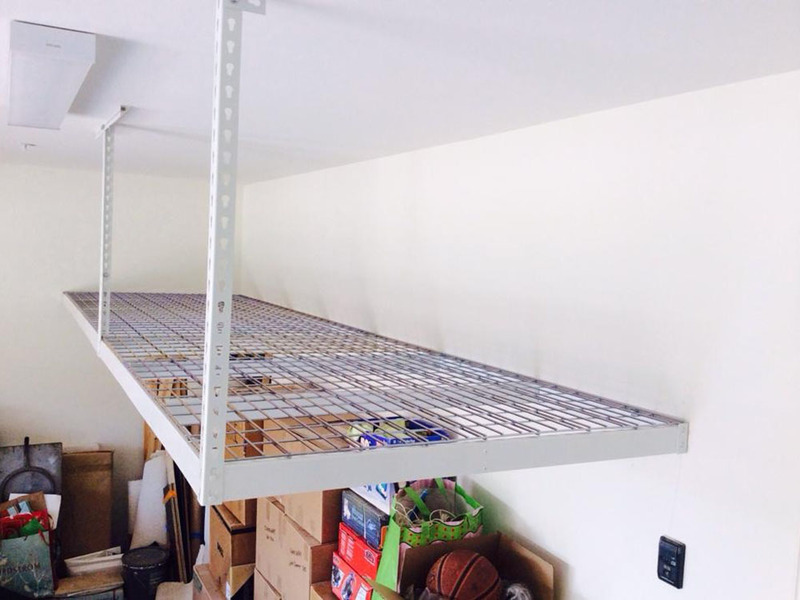 Let&apos;s face it, overhead storage racks are just a large shelf... and no one would purposely buy a shelf that was unstable and shaky. 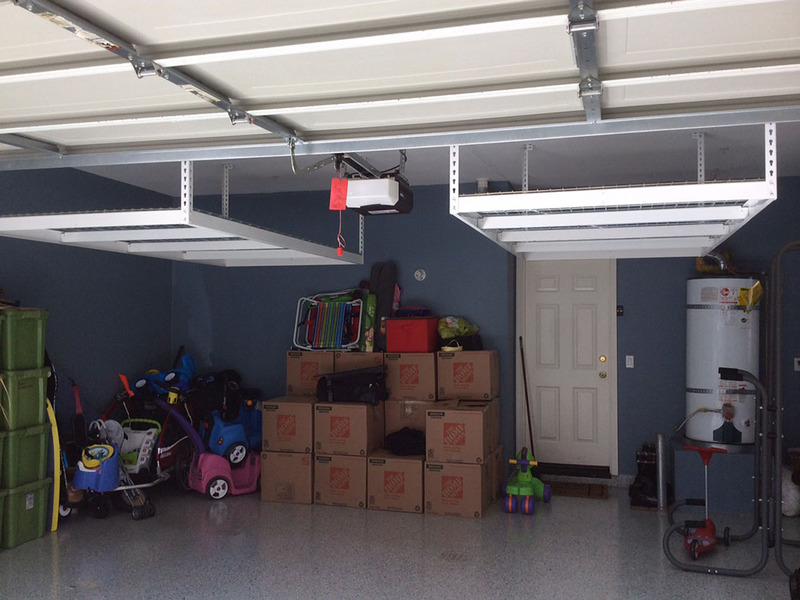 ToppRax Overhead Storage System is designed to custom attach each rack directly to the wall for 4 out of 5 installation locations. This gives it 100% stability.